Below is the technology industry news & trends report for November 2016. You can also check out our latest news & trends report to be in the loop of what’s shaping the tech industry landscape today. Autumn brought us falling leaves and exceptionally interesting technology. IT professionals shared expectations and predictions for 2017. The US fintech industry is affected by uncertainty after the presidential election. We’ll discuss that and more in our November report. Google presented a new solution for building standard apps. The new service works in an easy-to-use, cloud-based, drag-and-drop development environment that helps to build UI and utilize data from G Suite applications, Google Maps, or any service that offers an API. Microsoft changes its attitude toward competitors. Now the tech giant is collaborating with Google on building the future of .Net together. And that helps them both. Samsung is working with Microsoft on .Net adoption for Tizen apps development. Microsoft will be releasing a version of Visual Studio for Apple’s Macs. But the really big thing is overseeing the development of Linux. This month the SQL Server database product for Linux became available for public preview on beta. Microsoft aims to be more partner-friendly with its competitors, which might bring benefit for all concerned. 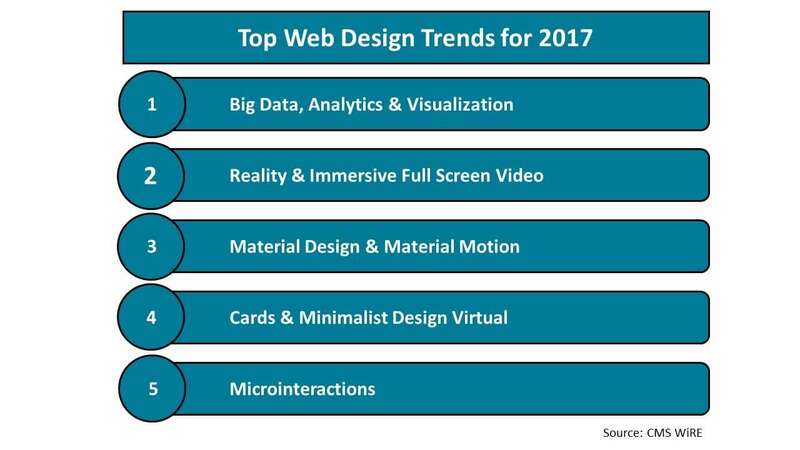 The future of web design looks highly promising and the industry players have already identified the emerging trends of 2017. Big data visualization and VR will change the customary understanding of web design. The first one will leverage viewing of user data attributable to adoption of data visualization tools and the second one will be the driving force in UX for eCommerce because of a change in the design-making process. Simplification of IoT device connection using special developing tools. Integration of Blockchain into IoT as a major security technology. Opportunities to analyze data gathered by sensors and connected devices. Over the last few years, big data has made significant incursions into the business world. But in companies where 50 percent of the employees have access to business intelligence tools, only 20 percent of them can use the tools. Now the challenge is a low level of data literacy. Experts claim that this problem could be solved by an improvement in AI and advanced natural language generation (NLG) implementation. 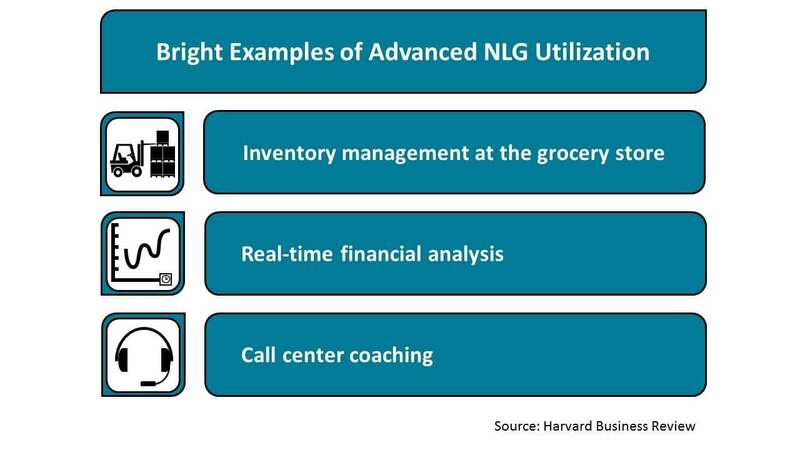 Gartner predicts that advanced NLG will be integrated into most data processing tools resulting in 20 percent of business content being generated by machines. 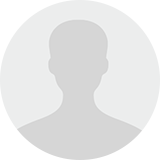 Recently Gartner conducted a survey of chief data officers (CDOs), which included 180 data professionals. Asked to provide their opinion of top driving forces for business for 2017, they responded with the following: improve efficiency (93 percent), increase competitive advantage (89 percent), create greater customer intimacy (88 percent), cost optimization (83 percent), improve risk management (82 percent), product innovation (81 percent), and faster time to market (74 percent). The research also explains why companies hire CDOs and what they expect from them. The number of mobile devices will stay flat, the traditional notebook market will decline, and their place will be occupied by ultramobiles (light notebooks and tablets). Over the next 5-10 years, “mobile” will come to mean anything that can deliver information. We’re not just talking about a simple digitization of the process because they will be completely transformed by IoT, wearables, VR/AR, bots, etc. 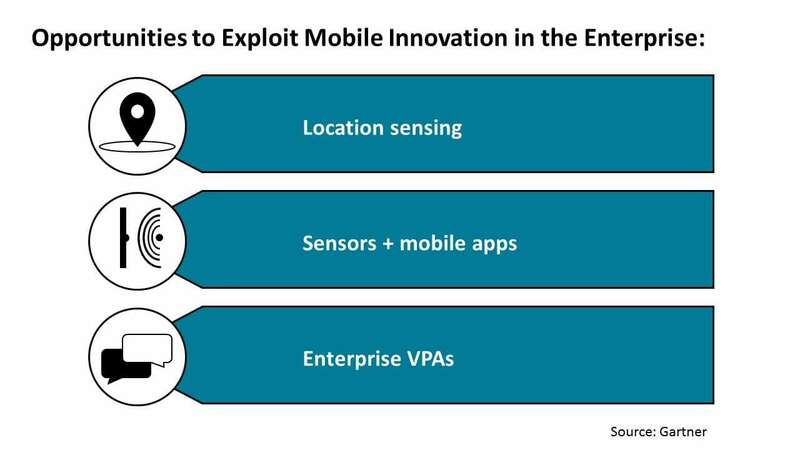 Gartner consultants named three most likely areas to exploit mobile innovations. Mobile payment will continue its rapid development by 2020. The market will be boosted by two main technologies near-field communication payment and Bluetooth payment technologies. Business Insider says that mobile payment volume will reach $75 billion and soar to $503 billion by 2020 (with 5-year CAGR at 80 percent), thanks to wide adoption. This fact will strengthen the position of mobile technologies, which already occupy a significant place in people’s lives. Cost saving and scalability are the core driving forces for healthcare organizations to move to the cloud. According to the HIMSS Analytics 2016 Cloud Survey, which queried 105 healthcare professionals, 43 percent of organizations use cloud technologies for information exchange and 41 percent plan to implement such solutions. 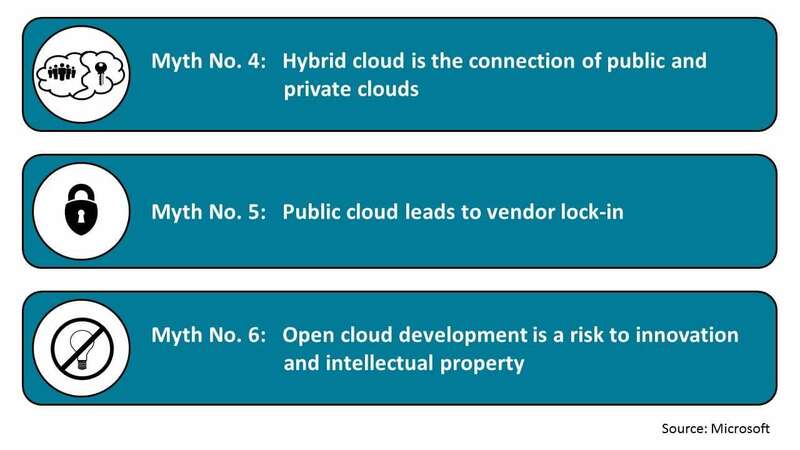 The research demonstrates that trust in cloud technologies is rising. Cloud technologies are already widespread. Nearly 70 percent of IT experts claimed that their companies are already utilizing the cloud and 92 percent plan to deploy projects in a public cloud. Though the cloud seems to have become mainstream, there is still confusion on the subject and potential users are being influenced by some of the misinformation that’s out there. 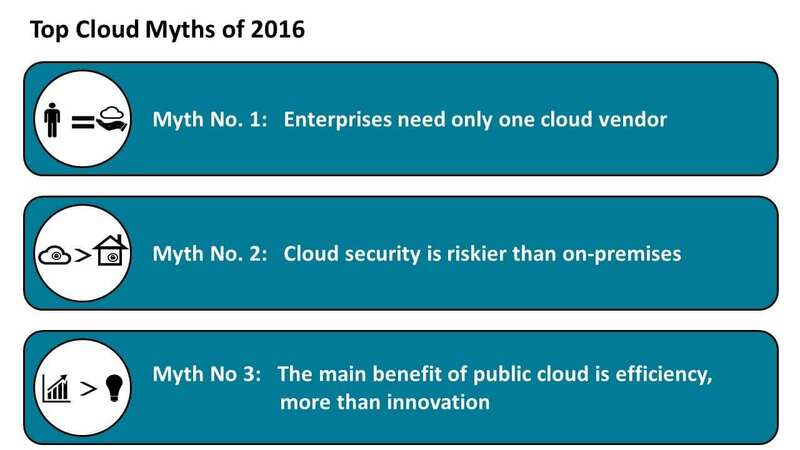 So, Microsoft tried to refute some cloud myths of 2016. 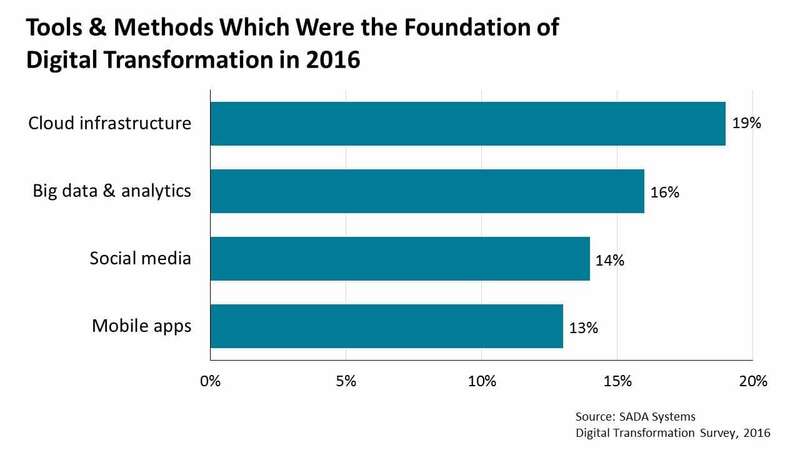 The digital transformation is gaining momentum. Companies are ready to spend large amounts of money to implement digital technology tools and new operational methods. Fifty-six percent of IT professionals say that their companies spent more than $1 million for digital transformation. Statistics give rise to the optimistic expectation for the future. Ninety-three percent of IT officers said that digital transformation efforts conducted by their companies were successful, outlining the technologies that became the foundation of the transformation process in their companies. There may be a slowdown in investment activity in the US fintech industry, the same as we’ve already seen in the UK. Significant changes in fintech regulation are expected, with the most fintech-friendly being repealed or abolished. The new immigration policy might eliminate labor sources. 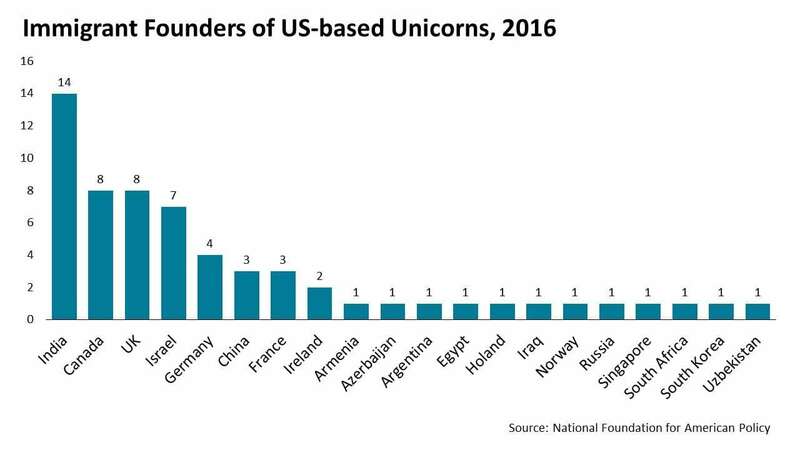 In addition, it might motivate fintech startups to move to other countries, due to the fact that 51 percent of US unicorn startup founders are immigrants. PWC provided their vision of financial services technology for 2020 and beyond. Industry players say that about a quarter of the traditional financial services market could be lost to fintechs within next 5 years. The experts expect a shift to sharing financial services, which might affect the positions of traditional institutions. Blockchain technology will become an important part of the financial system. Nevertheless, a great number of retail providers will fail in next 3-5 years. Digital-based businesses will become an ordinary part of the financial services industry by 2020, and all these only a small part of technologies that will drive the industry. Investing and asset management, payments and crowdfunding/lending are the most growth-oriented segments of European fintech, according to recent studies of Roland Berger. Sixty-six percent of authorities believe that industry revenue will strongly increase by 2020. Fintech companies are expected to expand the geography of their operations. While currently only 16 percent of companies operate in several countries, it is expected that 56 percent of fintechs will operate in more than 5 countries in the next 5 years. 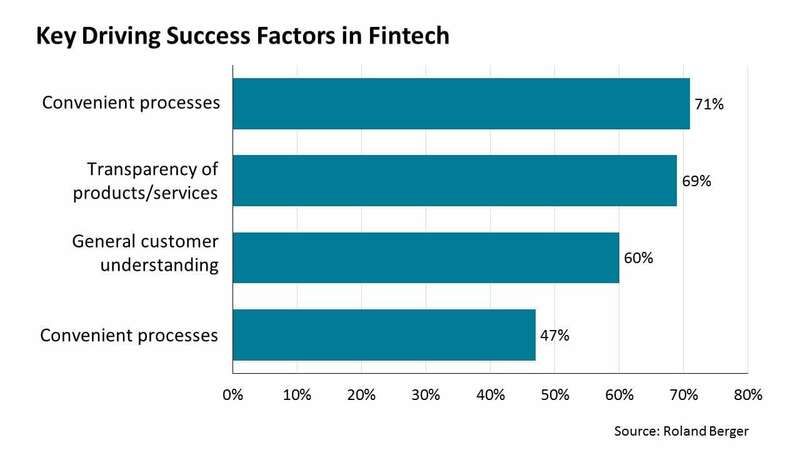 The respondents also determined the key driving success factors in financial services. Booking.com shared its vision of main travel trends for 2017 – the company determined 8 key trends for the travel industry. According to company data, 44 percent of travelers plan to book by mobile phone and 52 percent expect an increase in travel apps usage. 46 percent of those surveyed will have more business travel in 2017, which will boost that travel segment. Every year the 50 top UK retailers miss £2 billion sales due to bad UX. The recent research shows that the average load time of a page for this retailer group is 2 times slower than the recommended minimum. Each second of delay costs 7 percent in converted sales for marketers. Thirty-eight percent of the top 50 UK retailers have no guest checkout option, which leads to 25 percent in abandoned baskets. Finally, 8 percent of those 50 retail leaders still have no mobile website. Industry officials say that UK retail will continue its shift to online. 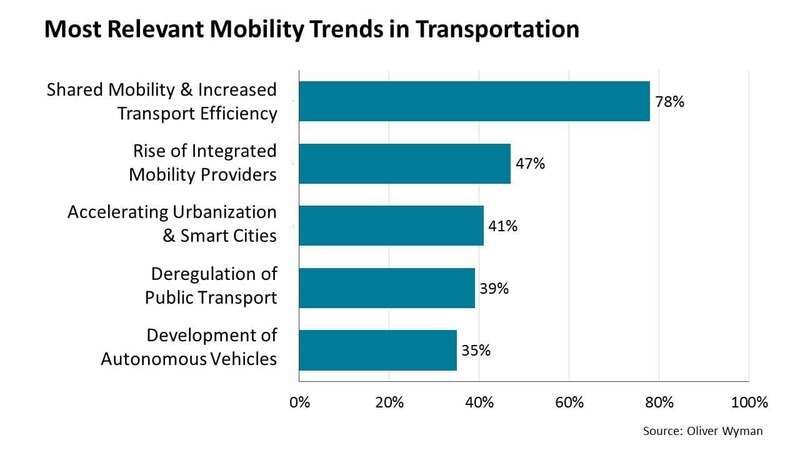 Oliver Wyman surveyed several hundred experts and C-level managers to find out how the current digital transformation will impact the transportation industry by 2040. Eighty percent of the respondents claim that they are prepared for future changes. The respondents described 5 main trends for next year. Currently, it’s clear, that each of these innovations strengthens the competition and boosts efficiency across the industry. The industry could be disrupted by coming changes and it is time for carriers to choose their strategy. The modest adoption of new technologies to decrease spending by $175 -$220 billion. Efficiency increase is expected to cut administrative costs by $24-$48 billion. The rise of healthcare-utilization levels might lower the spending by $13 -$24 billion. In 2016 CMOs spent 3.2 percent of company revenue while CIOs spent a bit more – 3.4 percent, according to latest Gartner survey. 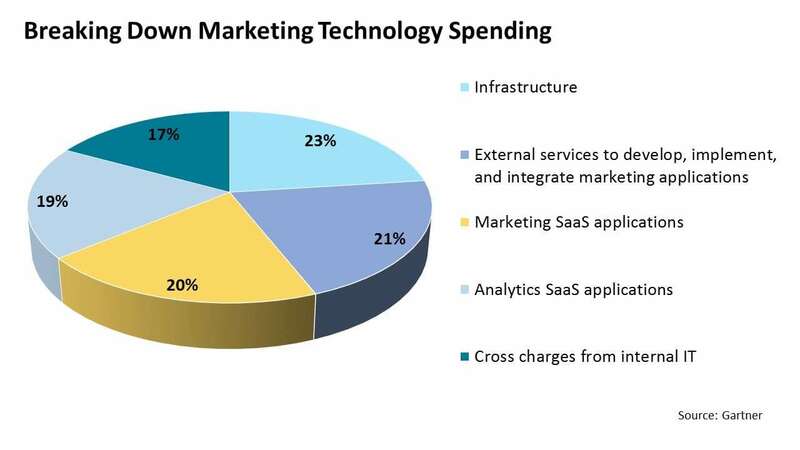 The consultancy firm predicts that CMOs will beat CIOs in 2017, as the marketing tech spending growth rate will reach 12 percent, and IT spending growth rate will stay constant (3.1 percent). The survey covers 375 companies with at least $250 million in sales.